Skinny & Co. sent me their coconut oil to try. I wasn’t paid to write a favorable review. All thoughts and opinions are my own. 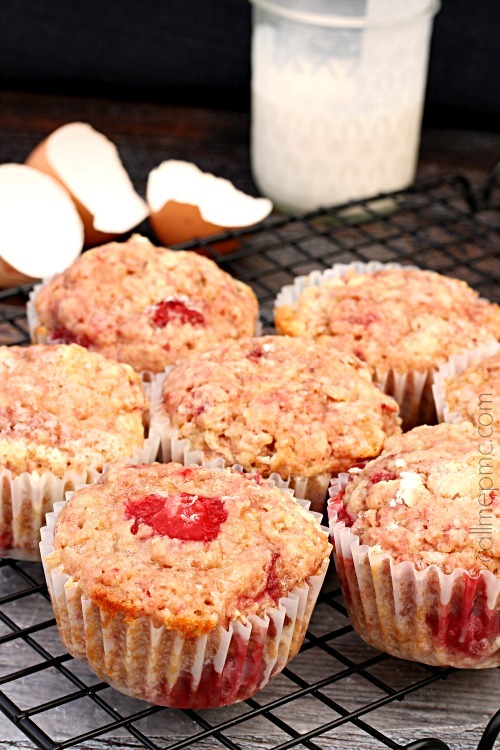 Strawberry Muffins with Almond Milk and Coconut Oil are soft, moist and full of strawberry flavor! 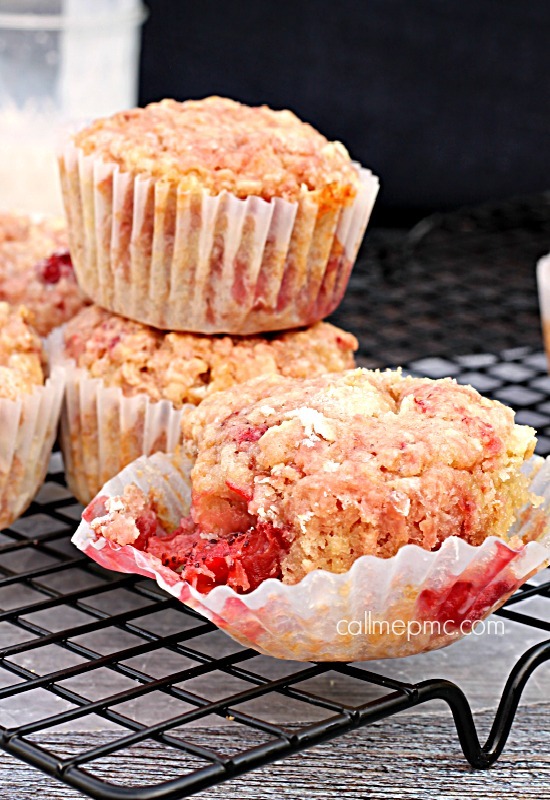 Lightened up, these muffins are a great start to your day! I’ve been a little obsessed lately with making small changes in my diet with the goal of controlling my weight, but also to live a healthier lifestyle. 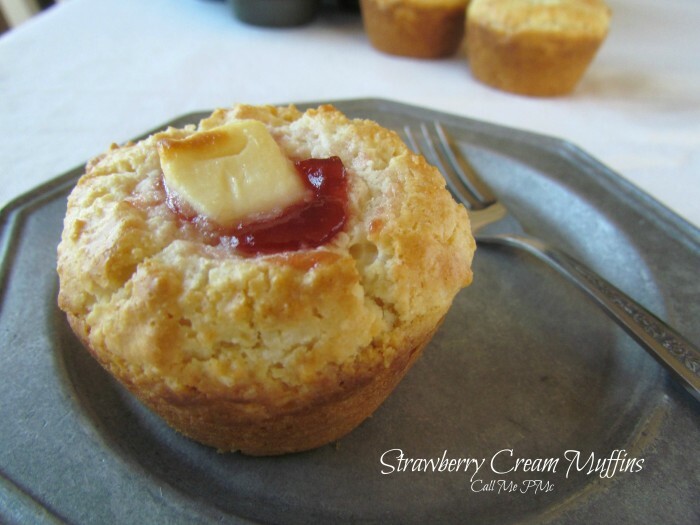 I made these Strawberry Muffins with Almond Milk and Coconut Oil, but you won’t miss the flavors or texture of a traditionally made muffin. 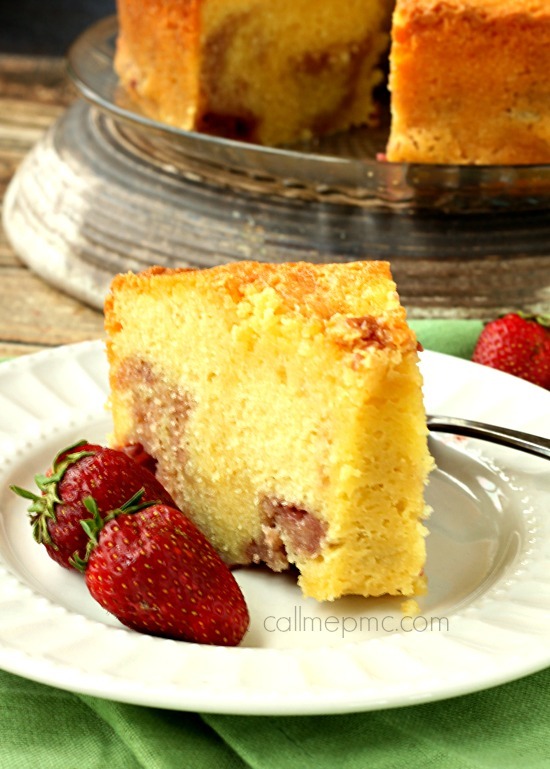 This muffin is moist and full of juicy strawberries. 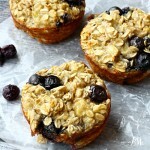 I made these muffins this morning and was blown away with how tasty they are. I didn’t add any crazy spices or flavors to these muffins. I kept it simple. 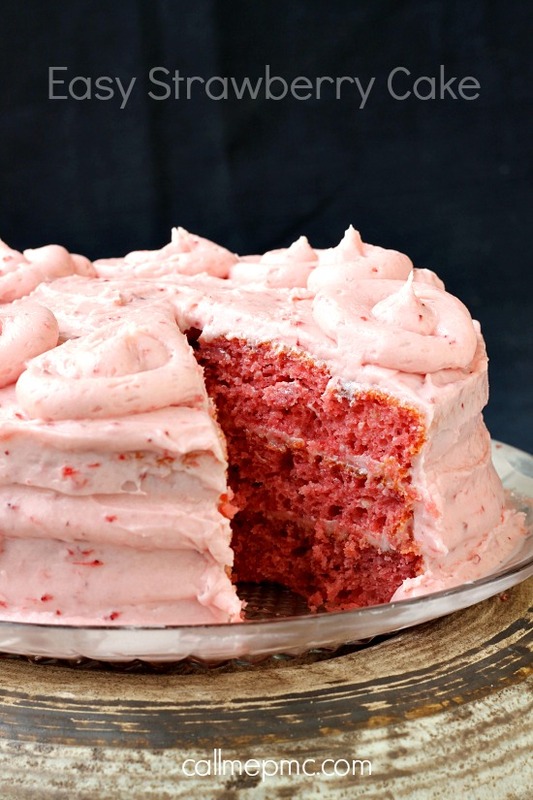 I wanted the strawberries to be the star. 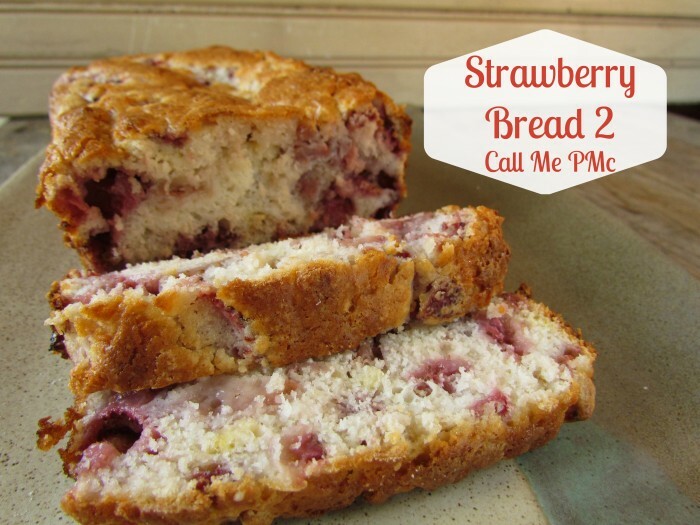 I merely made a couple of changes to the basic Strawberry Muffin. By using almond milk as your liquid, you’ll reduce calories without losing any flavor. I used an unsweetened vanilla almond that contains only 30 calories per serving. I made Blueberry Banana bread with almond milk and became a big fan of cooking with it. Using coconut oil as the fat is a healthier fat to use than other oil or butter. 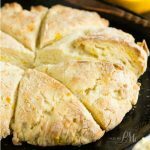 In bread recipes, I find it results in a very moist and lighter tasting bread. Additionally, I find that bread baked with coconut oil stays fresh longer than those baked with butter. If you choose to experiment with coconut oil in your recipes, you’ll substitute one for one when using butter or vegetable oil. If your recipe calls for shortening replace 1 part shortening with 3/4 part coconut oil. Of course, what you want to know is ‘do they taste good’? You betcha! If I had not told you of the changes I made, you couldn’t tell from tasting. Because of my boys, I’ve gotten pretty good at making meals a little healthier without sacrificing flavor . Ryder thought these were the best muffins since, well, my Peanut Butter and Jelly muffins. I tend to agree! Have you tried those Peanut Butter and Jelly Muffins yet? Yeah, they’re pretty wicked. You’ll use the same method for making these muffins as you would any bread or cake. If you use a spring-release ice cream scoop to fill the muffin tin, it will ensure all the muffins are the same size and cook evenly. 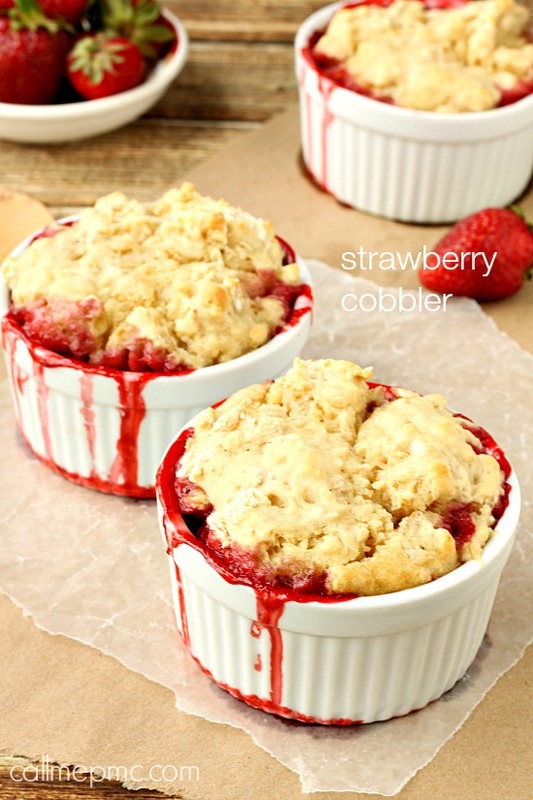 I use one that holds 1/3 cup batter to scoop and fill the muffin tins. If you’ve had your baking powder for a while, you can test it to see if it’s still good. 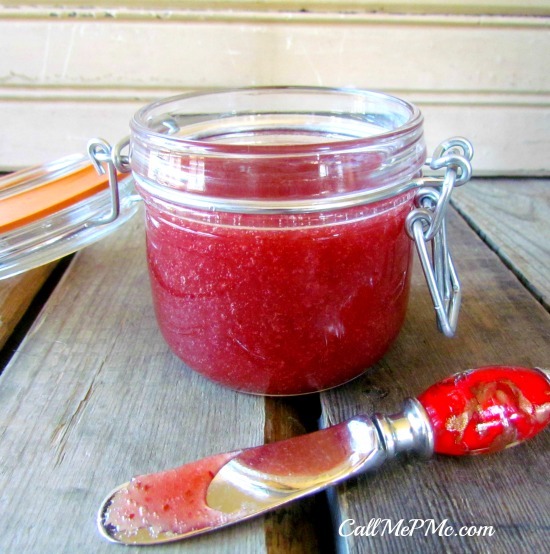 You’ll just add 1/2 teaspoon baking powder to 1/2 cup water. If this mixture doesn’t bubble the leavening power is gone. You’ll need to replace it. I also lined my muffin tins with cupcake liners, but I detest cleaning a muffin tin! 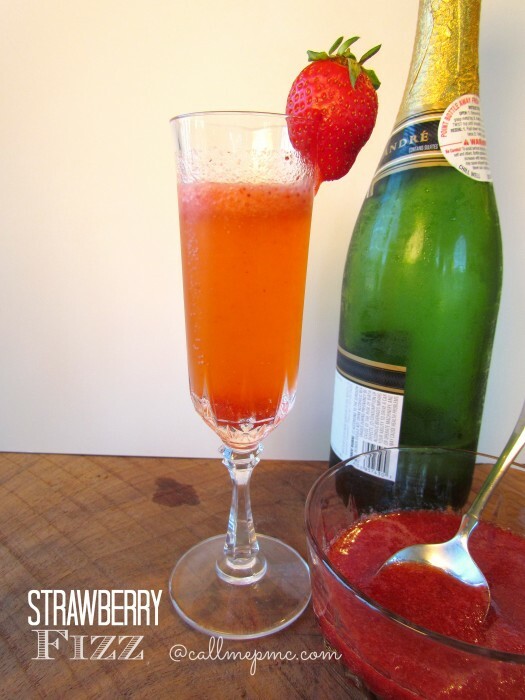 I used frozen strawberries in this recipe. Allow them to thaw, dice, then sprinkle 1 tablespoon granulated sugar over the berries. Let sit at least 30 minutes. I refrigerated them overnight. 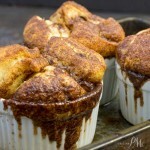 I use a spring-release ice cream scoop that holds 1/3 cup batter to scoop and fill the muffin tins. This ensures all the muffins are the same size and cook evenly. Line 9 muffins tins with cupcake liners. In another bowl, cream coconut oil and sugar. Add flour mixture and milk and stir until just combined, don't over-mix. Bake 15 to 18 minutes, cook time will vary depending on how much moisture is in your berries and if you're oven is calibrated. Bake at 450 degrees fahrenheit for 5 minutes then 400 degrees the remaining 5 to 8 minutes. 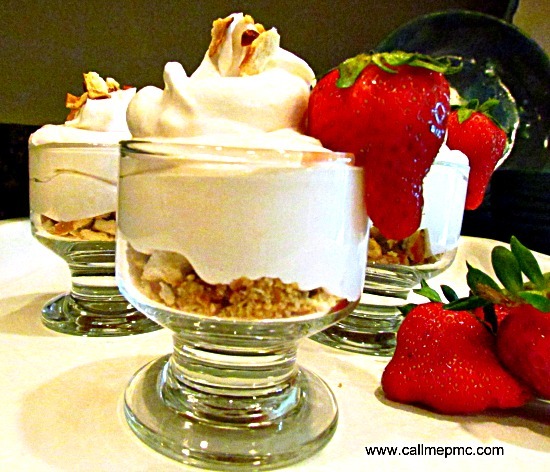 Follow Paula @ CallMePMc.com’s board * Breakfast Quick & Easy on Pinterest. I was given coconut oil by Skinny & Co Coconut Oil to try, I wasn’t paid to write a favorable review. This recipe was perfect. It was my first time making muffins and it was just delicious. I did 5 minutes at 450 and 10 minutes at 400, turned out perfect! I’m confused by baking time. Step 9 says bake for 15-18 minutes. Then step 10 says bake at 450 for 5 then 400 for remaining 5-8? Well that only be 13 minutes max according to step 10…steps 9 and 10 definitely need to be rewritten! Already got them ready to go so I’ll just watch closely!! Mine turned out nothing like the picture, but were still good. My batter was super thick and sticky–is that the consistency it should be? I felt like it didn’t have enough milk. My batter was pretty thick. 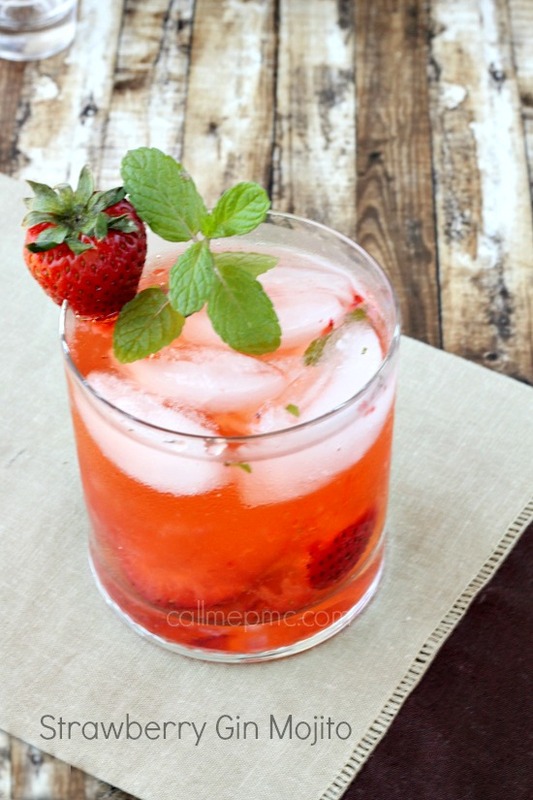 However, I find recipes with berries to be very hard to describe and they also tend to be inconsistant because they vary so much in how juicy the berries are and how sweet the berries are. I’ll try to do better with these 2 things in the future. I’m glad they tasted good, Julie. 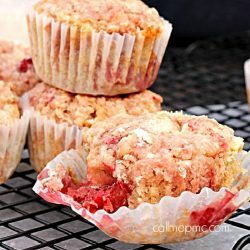 I can never resist pretty strawberry muffins like these. I love that you lightened them up too, they sound amazing! These look wonderful, Paula. 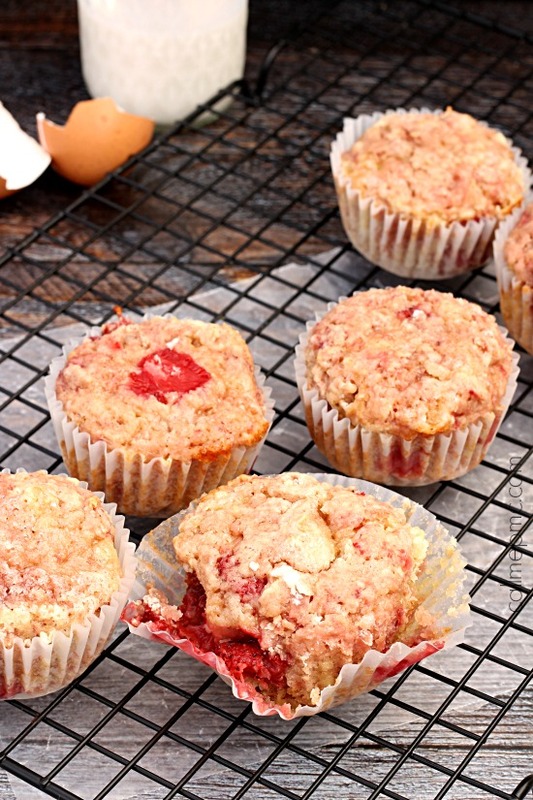 I love strawberries and especially making the muffins with healthier ingredients. Muffins are my weakness!! Love these Paula! 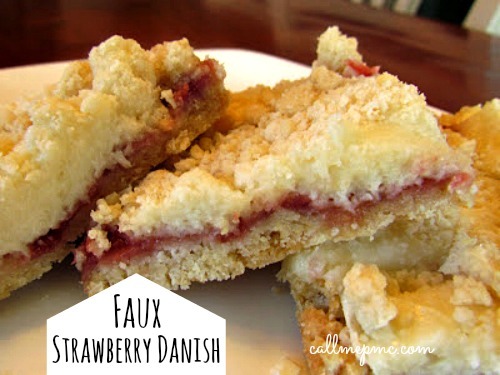 So much strawberry goodness here- I should make these for my strawberry-obsessed niece! I bet the coconut oil is super tasty in this treat too. Coconut oil is one of my favorite things ever! I just finished a jar yesterday (and promptly cleaned out the jar and am now storing white chocolate chips in it) and I need to go get more! These muffins look delish! Thanks Amanda. I agree, I’ve started using coconut oil in so many things now, actually like it better.